In an ongoing effort to accelerate the adoption of energy efficiency practices, New York City is implementing new requirements for building energy standards. The Greener, Greater Buildings Plan is set to be completely in place by 2025, and property owners will have to be prepared. Within these requirements lie unique opportunities for property owners. Not only will revamping operations in the name of smart energy management save property owners money in the long run, but the program comes with robust incentive programs through the New York State Energy Research and Development Authority (NYSERDA). Though the regulations might seem burdensome at first, in the end they represent financial savings, smarter operations and state funding opportunities. Local Law 84 -- Benchmarking: “Benchmarking” requires companies to measure their electricity and water consumption annually. The law standardizes the measurement process and requires the sharing of data through an online tool for comparison with other similar buildings in the city. Starting in 2018, owners of mid-size buildings between 25,000 to 50,000 square feet will be required to benchmark. Local Law 85 -- Local Energy Laws: Property owners must abide by a series of local energy laws, known as the New York City Energy Conservation Code. Renovations and building alterations also must meet current standards. Local Law 87 -- Energy Audits and Retro-Commissioning: Law 87 mandates that buildings of more than 50,000 square feet receive periodic energy audits, in addition to retro-commissioning. Much like benchmarking, energy audits are intended to give building owners more insight into their energy consumption. Local Law 88 -- Lighting and Sub-Metering: This regulation mandates that any large non-residential buildings upgrade their lighting system by 2025 to meet the energy conservation code, as well as install electrical sub-meters to provide monthly statements. 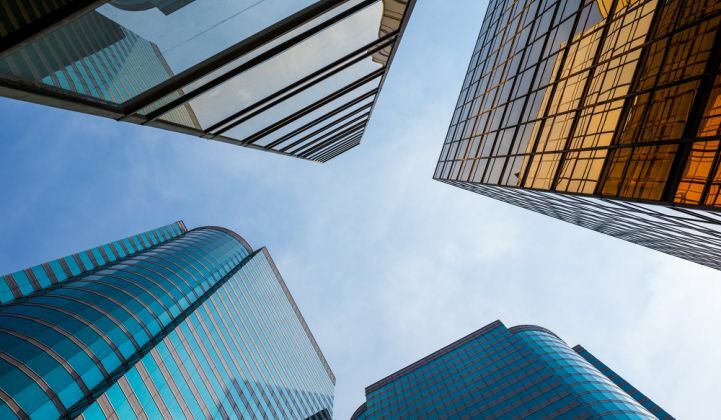 Certain building owners qualify for NYSERDA funding and cost-sharing programs for the implementation of smart building energy management systems. These systems monitor and analyze building energy usage and advise decision-makers on which adjustments to make in order to optimize efficiency. Among those qualifying are office buildings, retail, colleges and universities, healthcare facilities, state and local governments, non-profits and K-12 schools. To qualify for NYSERDA funding, property owners must choose a qualified vendor to implement a real-time energy management system. Cost-sharing from NYSERDA supports both the system installation and servicing costs, tapering off after three years of service, and diminishing entirely after year five. The funding plan includes two options: The first shares the burden of the installation upfront and then covers some service costs in subsequent years. The second builds the cost of installation into the service cost-sharing. Using this financial support, companies can decrease total upfront investment by 30 percent, in addition to service cost savings down the line. Sophisticated tools employing technologies like the internet of things (IOT) and machine-learning algorithms can help property owners comply with the new regulations and take advantage of the cost-sharing benefits. And while saving money and avoiding the ire of local government is desirable, there is a lot more that employing a smart building energy management system is good for. Best-in-class energy monitoring solutions can help inform stakeholders of every aspect of their energy usage, from the most granular level to a multi-site bird’s eye view. With this sort of data at decision-makers' fingertips, they are better equipped to optimize work processes and manage assets more effectively. Knowing how your energy is being used is the first step to reducing your footprint, which also reduces overhead expenses. Moreover, intelligent algorithms contextualize the data and offer recommendations and alerts when something seems amiss. For example, when a rooftop HVAC unit is drawing power much more heavily than it should compared to thousands of similar devices, decision-makers can be alerted before productivity is impacted by a critical failure. Green building management in the tough New York City real estate marketplace is essential in more ways than one. Smart building energy management systems are not just about compliance and financing; these smart systems play right into your business strategy, impacting efficiency across the board. Yaniv Vardi is the CEO of Panoramic Power, a part of Direct Energy Business -- a NYSERDA-approved RTEM vendor.